DES MOINES, IA ― Des Moines Performing Arts is pleased to announce that single tickets for two 2018-2019 Wellmark Blue Cross and Blue Shield Family Series shows, THE UGLY DUCKLING and PETER AND THE WOLF IN HOLLYWOOD—DES MOINES SYMPHONY FAMILY CONCERT, will be available starting Friday, Oct. 5 at 9 a.m. Tickets can be purchased at DMPA.org, the Civic Center Ticket Office, and by phone at 515-246-2300. The Wellmark Family Series is celebrating its 10th year presenting world-class theater to families. Lightwire Theater brings a classic tale to the modern stage in an unforgettable theatrical experience. 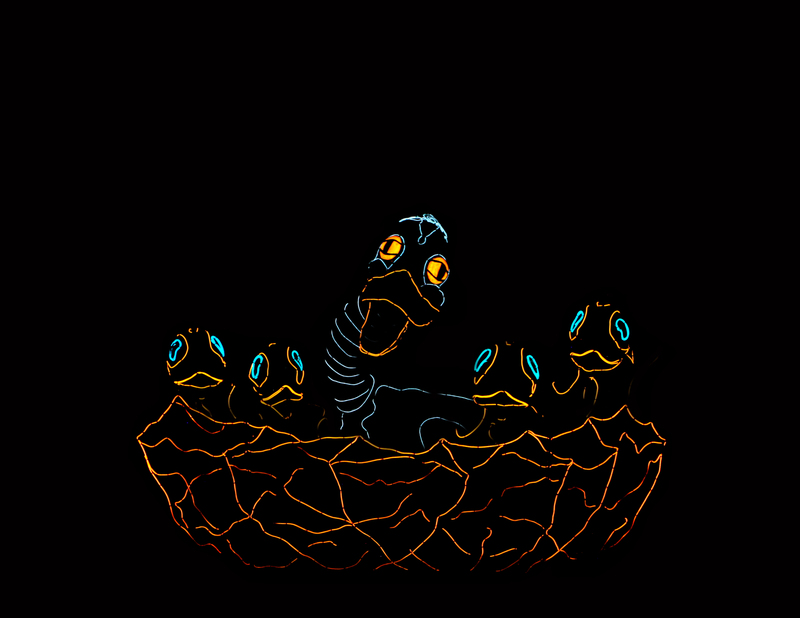 Lined with electroluminescent wire, the beloved story of THE UGLY DUCKLING plays out on stage through a cutting-edge blend of puppetry, technology and dance. With dazzling visuals, poignant choreography and the creative use of music ranging from classical to pop, this production brings this story into a new and brilliant light. Of the five eggs in Mother Duck’s nest, one is the largest and last to hatch. Bigger and paler than the others, this last hatchling is treated as an outsider by Mother Duck and her ducklings. He may be the best swimmer of the brood, but this alone is not enough to ensure his acceptance. Knowing only rejection, this Ugly Duckling goes out into the wild alone. Reflecting upon his plight under the glow of a remote willow tree, he sees a wily cat creeping in the direction of Mother Duck’s nest. The Ugly Duckling follows and watches as one lagging duckling is captured and taken back to the cat’s lair. In true heroic fashion, this Ugly Duckling succeeds in vanquishing the cat and rescuing the captured duckling. Celebrated by Mother Duck and her ducklings for his uniqueness, all realize that he may have been an ugly duckling, but he has grown into a beautiful and powerful swan. Saturday, January 12, 2019 at 1:00 p.m.
PETER AND THE WOLF IN HOLLYWOOD is a new creation by critically acclaimed Brooklyn-based production company, Giants Are Small, giving an invigorating new perspective on Prokofiev’s classic. The live production is an unforgettable journey of classic music and visual wonder, featuring the Des Moines Symphony conducted by Joseph Giunta. Co-directed by Doug Fitch and Edouard Getax, the production is based on the award-winning app and album co-produced by Duetsche Grammophon, featuring Alice Cooper as narrator. Prokofiev’s tale is set in modern-day Los Angeles and anchored with a thrilling prequel that sets off when the wolf escapes from the local zoo. Peter is swept up in an exciting adventure that includes the building of a giant robot, a whirlwind helicopter chase, and a moment of poignant introspection— all before he enters the forbidden meadow where he finally captures the wolf.